BURNABY — Facing first-year Byrne Creek, Langley’s RedHawks discovered they were matched against a hard-working and relentless pack of Bulldogs. D.W. Poppy struck first off a penalty by Grade 11 fly half Henry Brown, who minutes later connected with his brother George Brown for a blazing run to touch and an 8-0 lead. In the second half, Grade 10 outside centre Luke Fry added two tries to the winning cause. With great tackling and stellar defence, Poppy’s inside centre Stone Taylor took home the team’s Man of the Match championship belt. VICTORIA — Back-to-back tries in the second half, both coming with the wind at their backs, helped carry Abbotsford’s Robert Bateman Timberwolves to a 25-22 win over the host Claremont Spartans in Stadium Series action from Victoria’s Centennial Stadium on Friday. 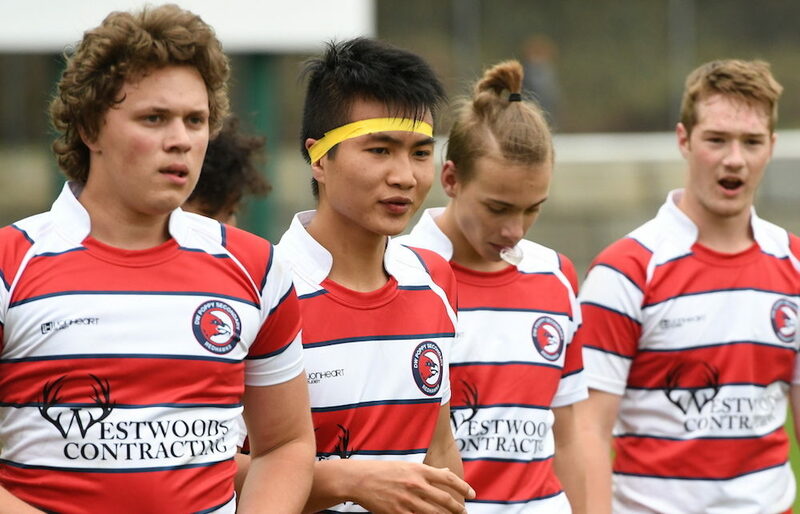 Big runs by Chris Martin and George Piper helped pave the way for the first of those two tries, a score by Phoenix Moller, which snapped a 15-15 halftime deadlock and put the Wolves on top 20-15. Key directional kicking by Brody Plowright kept the pressure on by not allowing Claremont to leave their end. Eventually this lead to another Bateman score as the ball was worked out wide where winger Josh Hollamby was able to put it down in the corner for a 25-15 lead and some much-needed breathing room. Claremont’s Ryder Heany-Corns had opened the scoring with a 15-metre rumble, before Bateman’s Aidan Clayton-Davidson was able to equalize. Keegan Neary, Michael Awor and Luigi di Majo also scored for Claremont while one of Bateman’s other tries was scored by Sam Davenport.